"A Bench With A View"
If the steep streets of the old town have put you off the idea of mountain climbing, head for Promenade de la Treille. It boasts of what has argued to be the longest bench in the world (126 meters, or 415 feet). 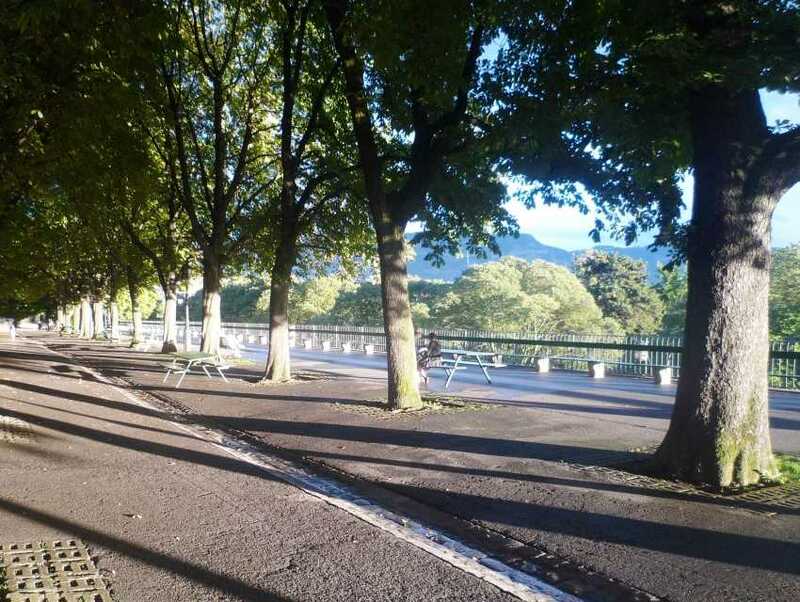 As well as a view over the Parc des Bastions and the Place Neuve, towards Plainpalais and further west, it's also a chance to admire the Salève and Jura mountains from a distance. A seesaw and other playground equipment mean that children will also appreciate a stop at this green and shaded promenade.